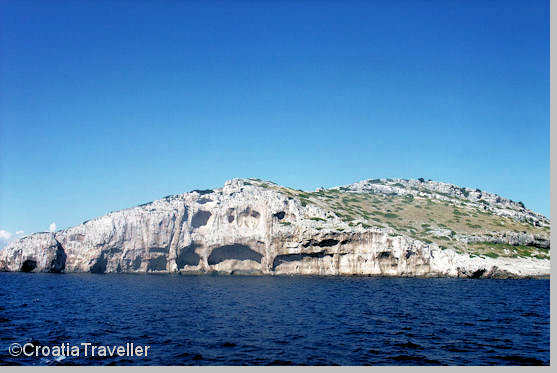 Day Three: The cruise through the Kornati Islands National Park was, perhaps, the highlight of our trip. The ghostly islands silhouetted against the sea and sky was simply magical. The sea seemed to have carved a face out of this slab of rock. Hence the name: Dead Man island. Next.